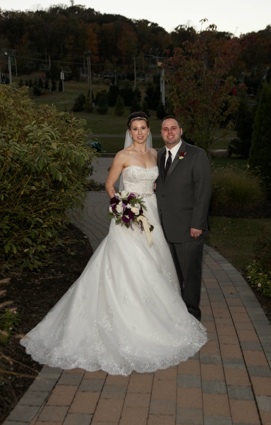 I’m so blessed to have the opportunity to work with creative clients and Emily and Dave were certainly no exception. 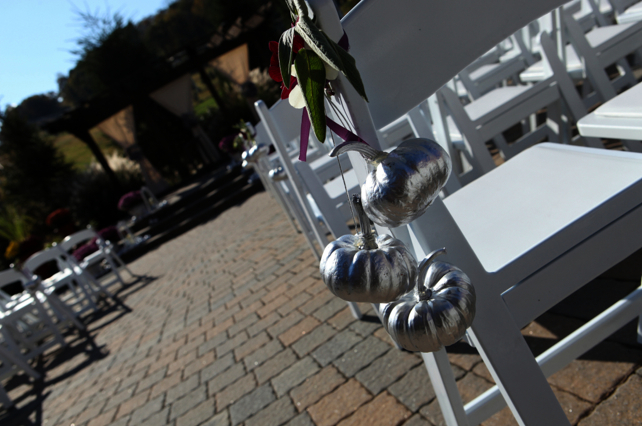 Last October, I worked with this beautiful couple to bring their vision of an elegant autumn mountain resort wedding to life. Thank you Emily and Dave! 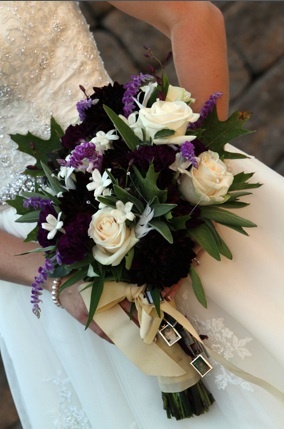 The bouquet consisted of dark purple dalias, cream roses, fragrant stephanotis, salvia, oak leaves, and sage. 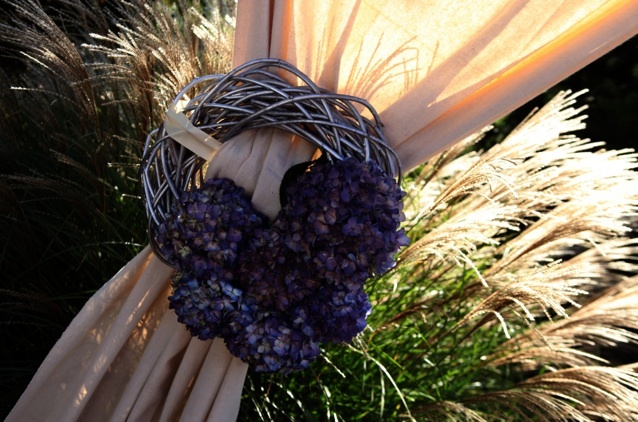 Gently tied together with satin ribbon and tiny photo keepsakes of departed loved ones. 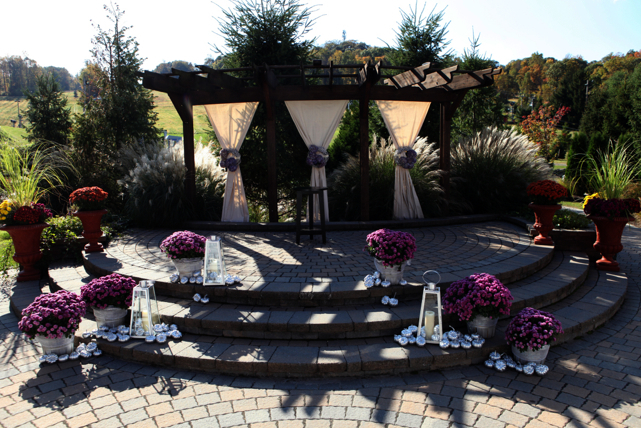 Sailcloth drape at the ceremony area gathered together with a silver vine wreath adorned with large blue hydrangeas. 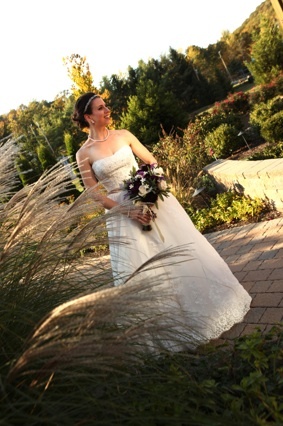 This entry was posted in Weddings and tagged Autumn Wedding, Bear Creek Resort, Mark Kintzel Design, Styled & Pretty Weddings, Unique Brides Bouquet. Bookmark the permalink. Breathtaking as always, Mark. Loved the bride’s bouquet with the photo keepsakes and the ceremony area was amazing. Beautiful, beautiful, beautiful!